Keilan Creech’s name (pronounced KEE-lan) looks more complicated than it is. Yet, despite truthfully simple pronunciation, the Richmond, Virginian’s epithet still presents as quite the unique calling – both on paper and said aloud. The same could be said for the music of Creech’s new full length album, honey waits (independent, 2017). Making his first major public move with the release of this debut LP, Creech leaves much to the imagination as far as his artistic persona and digitally searchable presence is concerned. 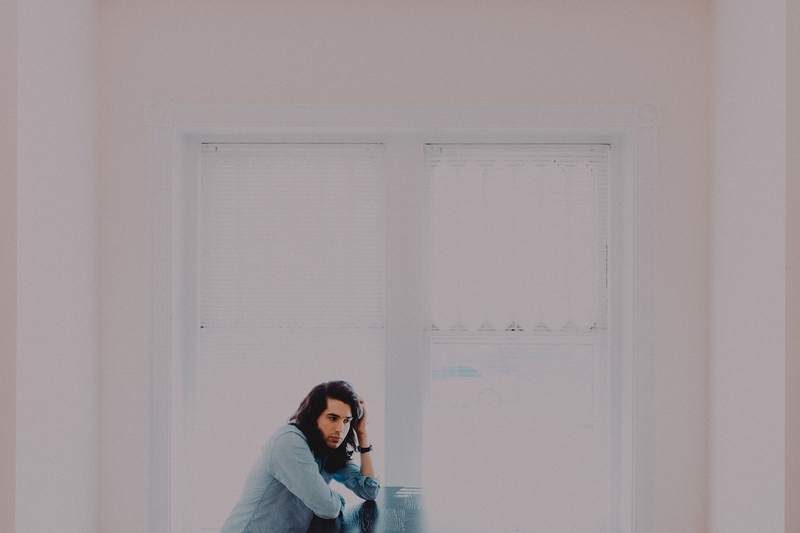 The neophyte singer-songwriter, who creates alongside fellow musician, Andrew Michael Krupacs, encases his thoughts within an easily identified realm of indie folk. (Though, it would be remiss to leave out Creech’s appreciation and inclusion of an electronic element, which Krupacs is endearingly credited for under the duties of “electric/dreamy sounds.”) Interlacing sounds of dynamically soft but precisely played acoustic guitars, lap steel, and a flurry of various kinds of sonic grandiosity on the vocals, honey waits sounds like a record that was born on a couch or bed, in a quiet, isolated home before Creech might have realized he wasn’t content with keeping these 11 songs at purely acoustic roots. It isn’t organic enough to be conflated with every other Martin or Taylor slinging songwriter on the planet but it’s not modernized enough to feel right dubbing the album with an alternative or electro-prefixed title. Just take a listen to the title track below, which is also the starter of the record. There’s a sadness and aloneness (note: not to be confused with loneliness) that is obvious and immediately apparent in the heart of honey waits; located quite plainly in some of the album’s imagery inspiring song titles (“the grey,” “cold and dark,” “where were you”). Beyond these mood setting identities however, Creech creates a sobering atmosphere. The way the music sounds and the way the music reads leads to a juxtaposition between the long, feathery releases of Creech’s vocals and guitars, and the poetic but unnervingly honest descriptions that manifest in the album’s lyrics, just beneath Creech’s melodious deliveries (Honey waits / Always in dire straits / And scars and silent pain / But I can be anything / Move me, move me). Going back to the individuality that exists between the sonic character of honey waits and its exterior written elements, the simplicity and one-noun-or-verb nature of many song titles (“creatures,” “lines,” “roaming,” “strawberry street,”) grants a kind of innocence to the project as a whole; as if the delicate timbre of Creech’s arrangements and the minimalist quality of his titles encourage a mindset of purity just from the blending of the two. Such a correlation seems mostly nonsensical but so much of the experiential factor of music exposure can be recalled from times when people may have technically heard a song in its finished form but weren’t in a good time or place to (thought)fully process a song with scrutiny. Consequently, often people are left with an overall impression of how a melody, tempo, or rhythm of a song might have made them feel, with the nuance of lyrics and the even further meaning of any symbolism, coming second. Despite its outer layers of aural beauty, it’s not to be understated that honey waits is an album of deeply vulnerable and heavyhearted proportions. Keilan Creech is placing a lot of shocking emotions and inner mentalities on the table with this debut and one has to wonder if the follow up to this work will see the Richmond songwriter swing his storytelling pendulum the other way or if there’s many more pages in the difficult chapters of Creech’s life he still wants to eventually tell through song. 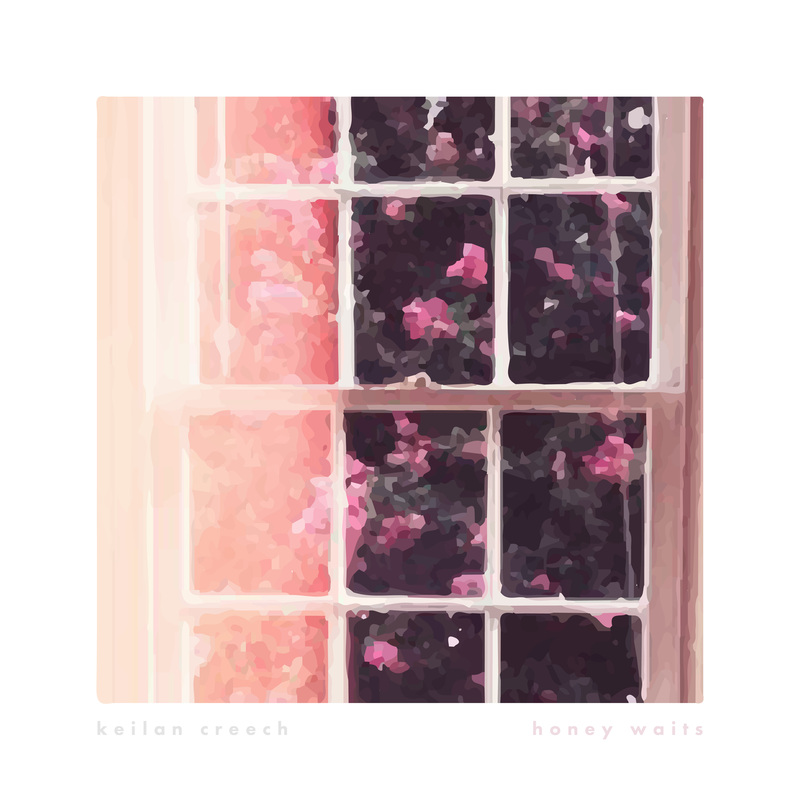 Regardless, the chosen emotional route for honey waits makes it a brave record and that alone, despite tears, anxiety, scars, and all, makes it an album worth repeated listens. honey waits is available now. Find it on Bandcamp and iTunes. Stream on Spotify.